A Royal Navy engineer from Dumfriesshire has been recognised for his outstanding military service with the Meritorious Service Medal (MSM). Warrant Officer Leslie Clemens from Annan is a Marine Engineer Technician currently serving at HM Naval Base Clyde, home of the UK’s Submarine Service and of the First Mine Counter Measures Squadron (MCM1). The former Annan Academy pupil joined the Royal Navy in 1987 and already has an impressive array of medals and awards to his name including the Captain’s Prize from HMS Raleigh, the Leadership Trophy from HMS Sultan, the Kosovo Medal and the Operation Telic Medal. He was also part of the mine hunter crew who picked up the Surface Fleet Effectiveness Trophy in Engineering in 2010. 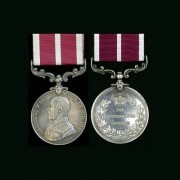 But Les has now has another plaudit to his name with the recent award of the Meritorious Service Medal. He was nominated for the gong by a former Commanding Officer on board mine hunter HMS Quorn. Les was the Marine Engineering Officer at the time and his outstanding work earned him the prize. Now in charge of the Royal Navy Hull Repair team at HM Naval Base Clyde, Les is currently using his engineering know-how to keep the navy’s Sandown Class mine hunters ready for global operations. The father of six, whose parents, Helen and George, still stay in Annan, said that he couldn’t have done it without his family. “I am immensely proud but could not have hoped to achieve any level of success without the support of my family and shipmates,” he said. It doesn’t seem that long ago that we covered this oh so very anti social attitude some dog owners have towards their fellow inhabitants of the town. With the lighter nights and better weather (hopefully) fast approaching we are all getting out and about around our streets and pathways that is when we really notice the state of our pavements. It is not only anti social there is a health risk to the young and vulnerable. Why do these people think it is acceptable to let their pets foul the pavements. ? Apart from the streets that have recently been mentioned in the local press let me know the street that is especially messy near to you, a list will be compiled and sent to the Community Safety Team for monitoring.